Troup Bywaters + Anders (TB+A) are looking for a Lighting Designer to join our busy design team based in our Manchester office to support our award winning Light + Lighting Solutions team to deliver architectural lighting design to clients and support internal design teams on a national basis. This will involve working on a variety of architectural lighting projects across different sectors including retail, commercial and education. Candidates should be able to demonstrate practical experience working within a similar role, ideally within a building services design consultancy. Candidates must be competent in using Dialux and AutoCAD or Revit. Whilst this role is based in our Manchester office, the Light + Lighting Solutions team support our design teams nationwide, so some travel may be required. 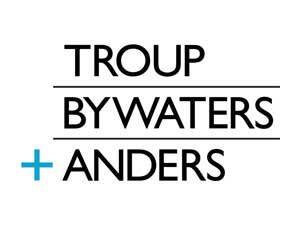 Troup Bywaters + Anders are a high performing, award winning partnership of consulting building services engineers, established in 1958 with 8 offices across the UK. We’re passionate about what we do and how we do it by providing the very best service for our clients. We have an enviable portfolio of projects across the country working on some of the most iconic landmarks for major clients. Our portfolio is a combination of public and private design projects across a range of sectors that include new build, refurbishment and fit-out, together with a number of niche solutions service offers including: Lighting Solutions, Energy + Environment, IT + Security and Services Management. In the past five years our work has achieved over 45 awards of excellence, a testament to our standing in the industry and great team of people. It’s thanks to our people that in 2017 for the 9th consecutive year we featured in the Building Good Employer Guide. We are Investors in People (IiP) Platinum accredited and an IiP Champion guiding other organisations to deliver best practice in People Management. We also hold the IiP Health & Wellbeing Award. In 2017, we were crowned winners of the ‘Best place to work’ category at the Construction Investing in Talent Awards, Winners of the Apprentice Employer of the Year at the IiP Awards, Winners of the WISE Apprenticeship Award 2017 and Winners of the ACE Training Initiative of the Year.